real newsstands looked like this... only with a few more comics. I've just discovered that there is an app available for the Dennis the Menace and Gnasher Megazine that enables you to read the comic on your phone, tablet etc. I've never read an issue of the Megazine due to it's high price tag and I was hoping, like the fantastic Phoenix comic app, that a free short sample issue would be available so that I could get a taste of the comic and give the app a thorough review. Sadly there was no such thing so I'll have to review the app as best I can without. Despite there not been a free sample comic it seems that you can buy solely digital subscriptions, as you would expect. In New Zealand the prices for the subscriptions are $22.99 for six months and $45.99 for one year. Considering that here a paper copy will set you back around $12 that really is cheap, even if you don't get the free gifts and can't fill in the puzzles. 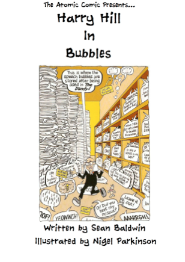 Although every issue can be seen on the home page and 'download' and 'read' buttons appear beneath each cover you can only buy 6 or 12 month subscriptions, so no single issues to give customers a taster. This might put people off buying the digital subscription because they don't want to pay for a six-month subscription for a magazine they may not like. So far it's not looking too good for this app but on the plus side it seems that you can save whole issues and individual pages that you may wish to return to on the 'downloads' page. A good additional feature. On the whole though this app doesn't run as fast or as smoothly as you may like it to, and not having a small sampler for readers to try out is a drawback, perhaps pushing away a few potential subscribers. D.C Thomson really could learn a thing or two from the way the frankly brilliant Phoenix app is set up and runs. Today at a local market I came across a retro store and one of the items they were selling was the Dan Dare card game, a high quality reproduction of the original Dan Dare card game made in 1953. 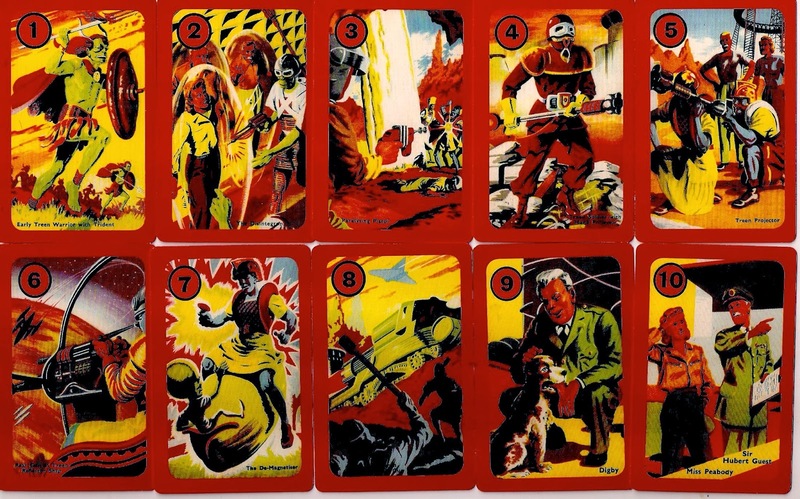 The cards aren't a Dan Dare variation of a standard pack of playing cards with the picture cards instead featuring Dan Dare characters, but are a unique game made up of 44 picture cards. I won't show all the cards here but they all feature stunning artwork, some repeated several times throughout the pack. Here are the first ten. 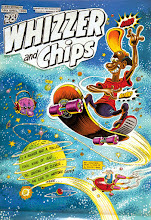 The company, Retro Range Toys and Games, have also reproduced the Dan Dare Planet Gun and the Dan Dare Walkie Talkie. Originals usually sell for a small fortune so although I don't know the price I imagine they're an affordable way to get the toys. 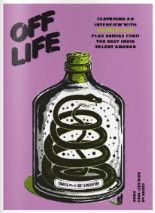 The can be found in various retro-style stores and I'm sure they're available online too (although Retro Range themselves don't have a website). Frank Hampson often used models to help him illustrate produce his pages, sometimes making friends or family dress up and pose as the characters of Dan Dare. 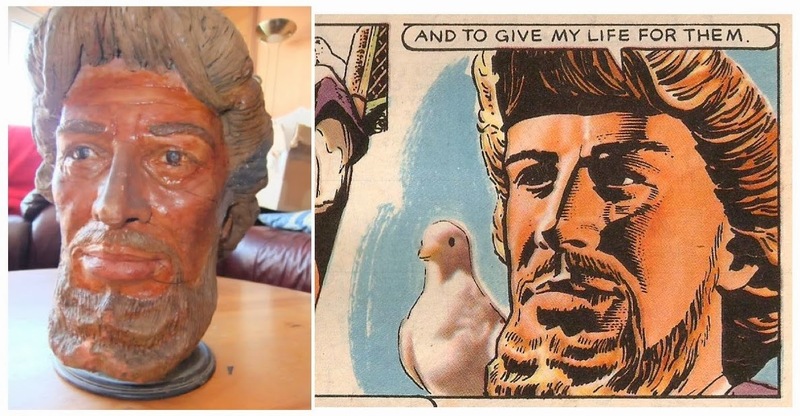 When he was tasked with illustrating The Road Of Courage on the back page of Eagle comic Max Dunlop, a sculptor at the Dan Dare studio, crafted him a life size head of what he believed Jesus would look like. Frank could move this around and draw it from different angles so his comic strips had a better sense of realism. The actual sculpture, next to a panel drawn at a similar angle from a January 1961 copy of Eagle. 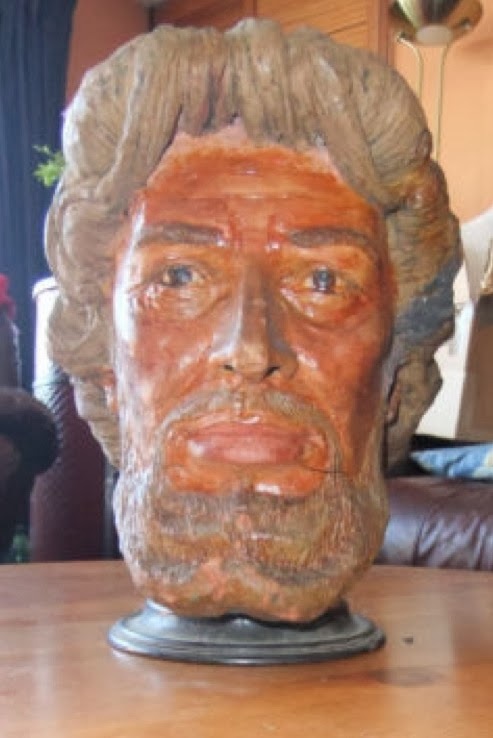 The head is now up for sale on ebay with a starting price of £260, but so far has failed to attract any bids. It is a heavy piece so is only available to buyers in the United Kingdom who can pick the head up from it's current home in Devon. This blog wasn't around when the Dandy Xtreme changed back into The Dandy, a revamp that partly inspired the launch of this blog. I've never taken a proper look at this revamp on Wacky Comics, so I will today, starting with the last issue of The Dandy Xtreme. Dated 6th October - 26th October the Dandy Xtreme was on sale for a whopping 20 days giving it plenty of time to reach maximum sales. One thing you may notice is that the last Dandy Xtreme was presented with a free gift of a "light sword" whereas the revamped Dandy was presented with no free gift at all, which is strange as I'd have thought a free gift could have helped with the re-launch. 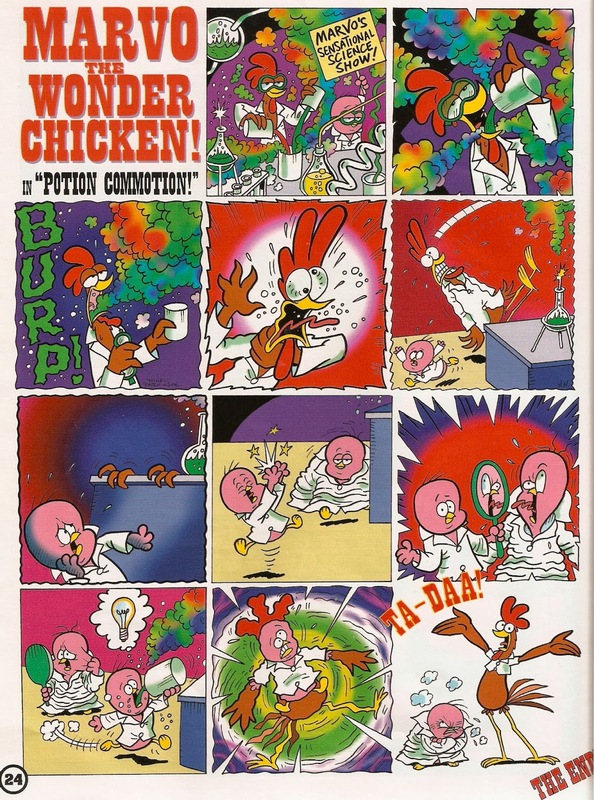 I'm not going to spend too long on the last Dandy Xtreme as there isn't much of interest regarding the revamp itself, but I don't want to skip it either so I'll show this one-page Marvo the Wonder Chicken strip illustrated wonderfully by Nigel Parkinson. 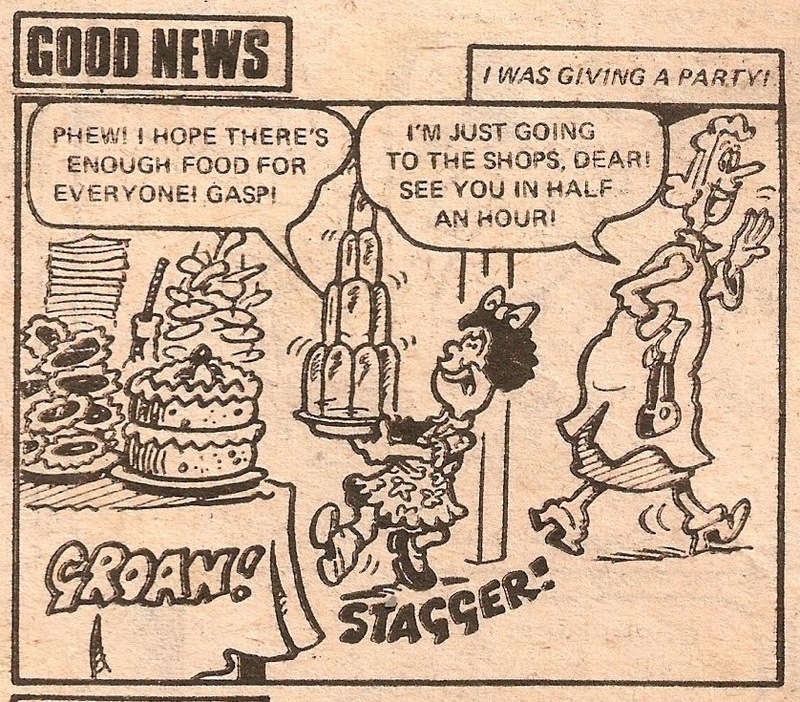 Just inside the back cover was a comic strip advertising the revamped Dandy on sale the following week. 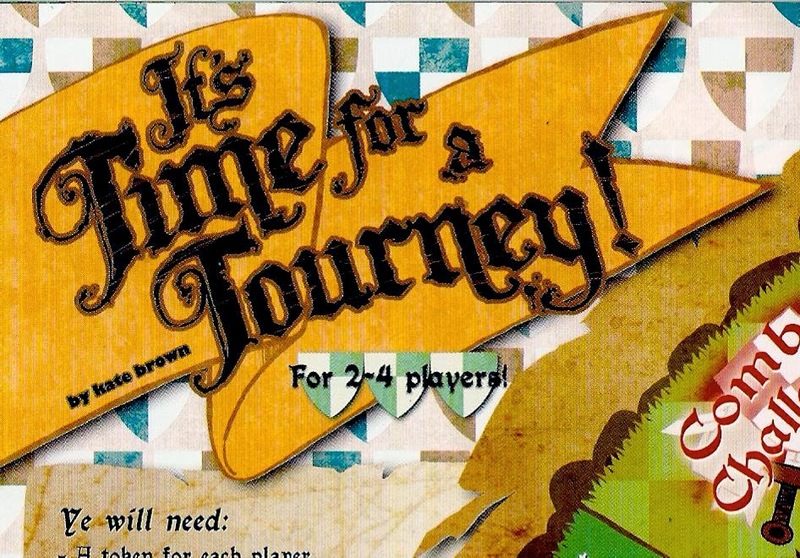 I'm not too sure that this was the best way to advertise the revamp as readers would be looking for the Xtreme title and probably overlook the Dandy itself. A better way to advertise (I'd have thought) was to show the cover so that people know what they're looking for. But that's just my thoughts and I've never studied advertisement strategies in much depth. It was clear that D.C Thomson weren't very proud of the Xtreme years as they dismissed it with only single page in the 280+ page book The Art and History of The Dandy. And thus entered the new look Dandy - an exciting and bright revamp that easily put the shabby, and absolutely awful, dearer Dandy Xtreme to shame. Reception to the new-look Dandy was mixed, with some very negative comments towards it but also a lot of enthusiasm as well. 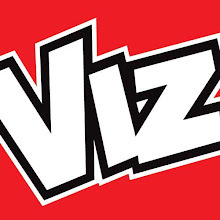 I personally loved it, and it's up there with my top three comics: 1) Whizzer and Chips, 2) Wham, 3) New Look Dandy. Xtreme - the pocket money equivalent of a bag of sweets. It was a highly promising start with the comic being printed on nice heavy, high quality paper and (in my opinion) content that was just as good. 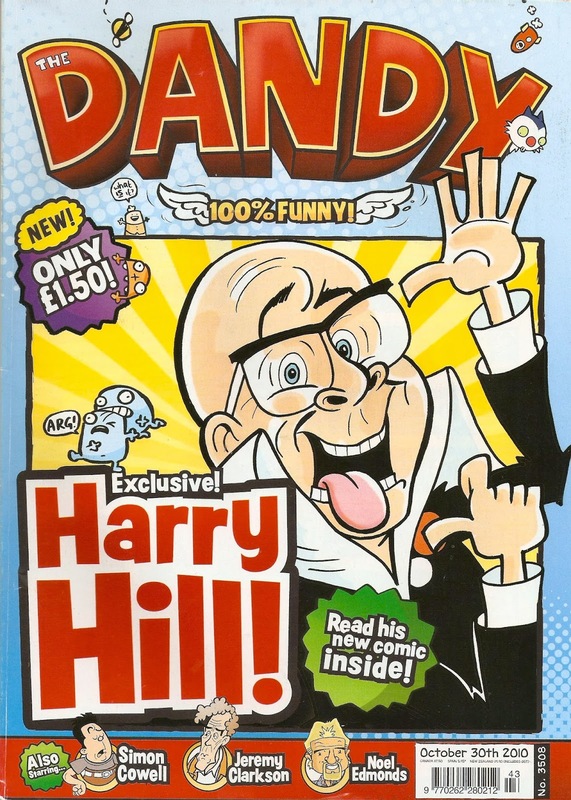 I personally loved the Harry Hill strip and when it was cancelled I was gutted, and the lowering of the paper quality later on through the run was a blow, but the standard of the strips remained high right until the end. 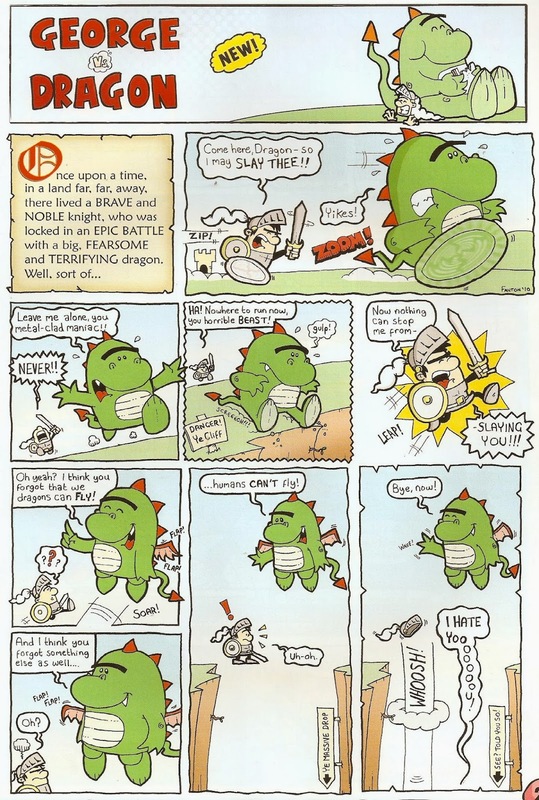 ... and Andy Fanton's George Vs. Dragon. Andy improved considerably throughout the two years he was drawing for The Dandy, just compare the first episode below to a later one. That just about sums up the 2010 Dandy revamp. It seems that the new look Dandy was a bit like marmite in the way that people either loved it or hated it and, just like marmite, I loved it. However, the only way to determine whether you love it or loathe it is to try it out for yourself. Back issues can easily be found on ebay at reasonable prices. 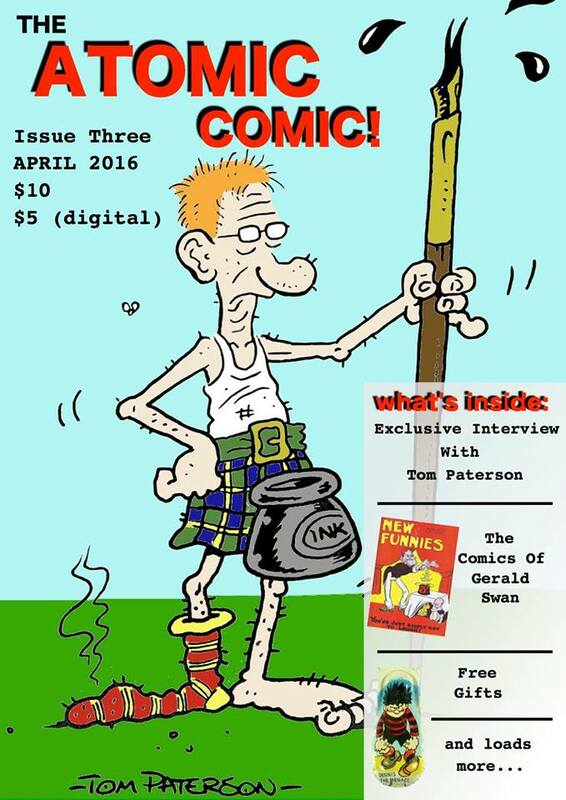 Wacky Comics has just had another birthday after turning three on Wednesday. A big thanks to all fifty subscribers and all the other readers who have supported this blog along the way. 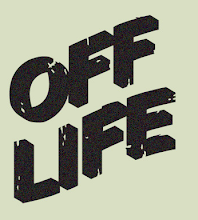 I know there hasn't been many blog posts lately since real life has become busier and busier but I still hope to post the occasional one. I came across The International Book Of Comics in my school library and it was my first taste of Denis Gifford's writing. Most of Denis' books focus solely on British comics but this one looks at ones from the world over, though mostly the U.K. and the U.S.A. I have very little interest in American comics so to be honest I skipped most of the pages covering those ones with a few exceptions such as Felix the Cat. Although comics from over the ditch fill up a majority of this book the British stuff is still good, with particular highlights being the Ally Sloper and Comic Cuts articles. The book is a great source for looking at the origins of British comics (and comics as a whole for that matter), briefly covering the first regularly coloured comic (aptly named The Coloured Comic) and newspaper strips, but for a better look at early British comics you'd be better off reading Victorian Comics, also by Denis. The book is an engaging read with plenty of photographs throughout, many in colour. Copies of the book do pop up for reasonable prices on Ebay and they do pop up in second hand bookshops for a good price too, so it's a cheap and quality read! I haven't posted a Phoenix preview for a while so let's do so with the latest issue - #109. 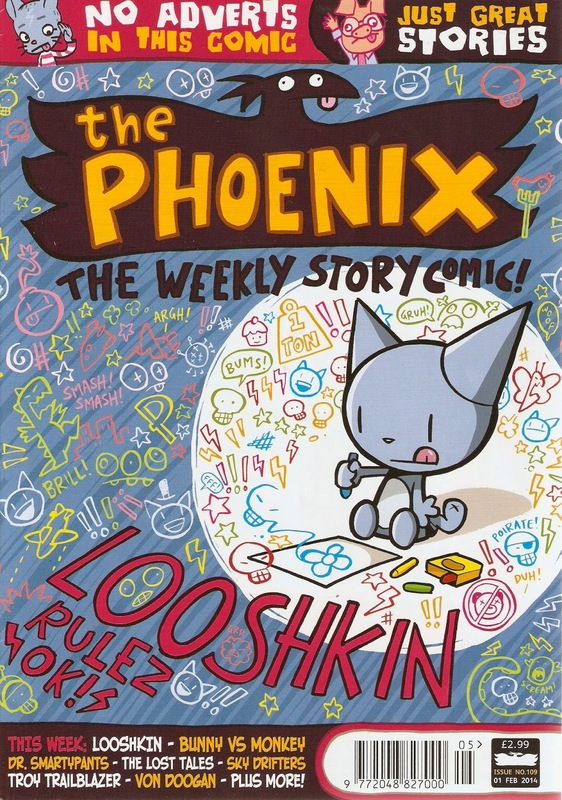 The cover is spectacular and unlike anything seen on the Phoenix beofre, with Looshkin having apparently drawn everything besides himself, including the straplines and logo! Great stuff that actually comes from the pen of Jamie Smart. 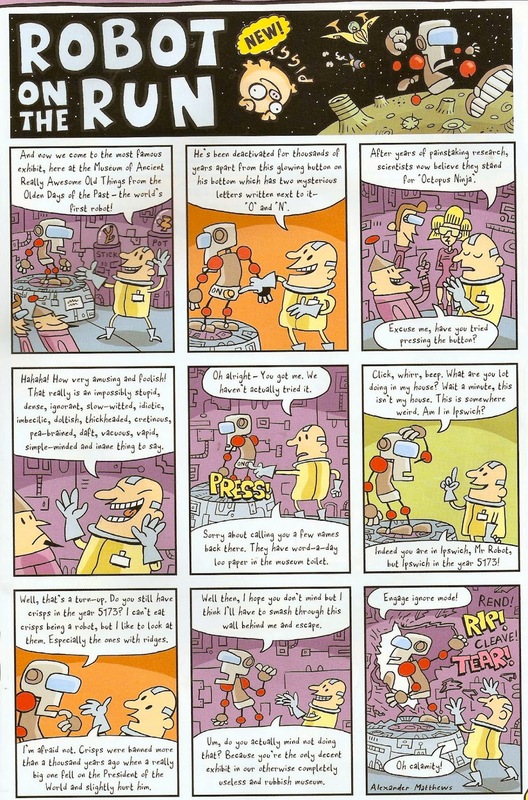 Inside it feels as though Jamie Smart and Adam Murphy have taken over over the comic, illustrating 13 pages between them. 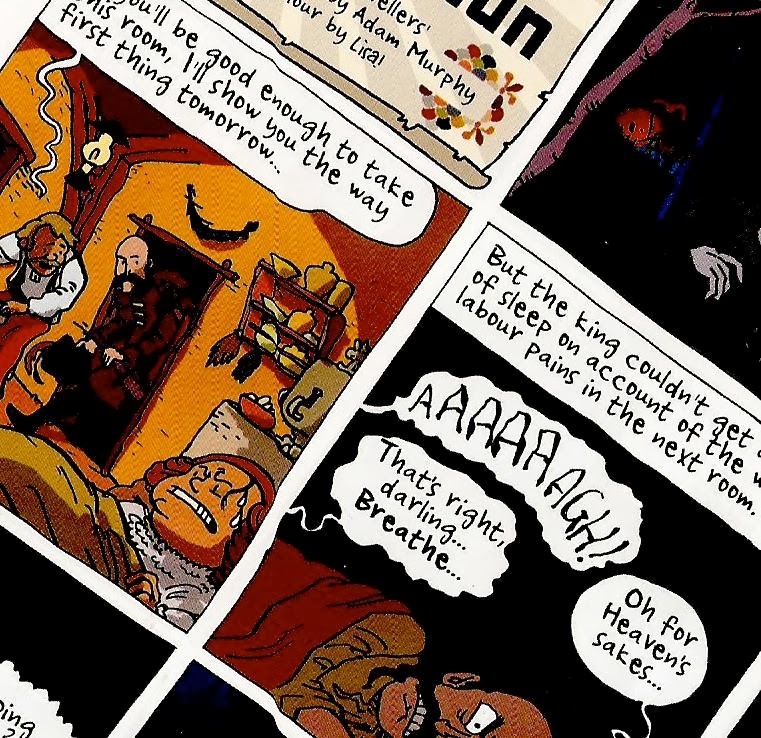 In fact only one strip inside is drawn by a different artist, and that strip is Sky Drifters by Zak Simmonds-Hurn. It's not that Jamie and Adam are bad artists (they're brilliant) but it would be nice to have a bit more variety. Fortunately we are also treated to a game on the centre spread which was produced by Kate Brown. Phoenix #109 is out now at the usual price of £2.99. Over the past few years The Beano has given away quite a large number of free gifts. Here's a few of them; they're not necessarily all my favourites but some are just memorable toys. As always, click on the images and then again to view in full size. First up is the first free gift given away since I started reading - the foam flyer. I'm fairly certain it came with the issue pictured next to it (above) but if not it is an early gift for me and one that, as you may be able to tell from its faded colour, has been well-used. Basically, you soak the end in water and throw it at your victim, who will end up soaking wet! Great fun! Next up is the water jet doorbell. Simply fill it with water and attach to your front door, and any visitors who are foolish enough to press the button will be greeted with a cold jet of water. I did attach this one to my front door, but I don't know how many people I caught (probably none). The same gift was given away at a later date, only without 'Aquasplash' written on it. As I already had one I had no need to open the second one, and it sadly remains in its packet to this day. Next up is a gift I used quite a lot, but sadly the stand was lost when I moved to New Zealand. It is the Dennis and Gnasher punch-bag, which I used to have sitting next to the side of my bed back when the stand was still with it, and enjoyed flicking it (it was too small to punch). On one side it featured Dennis and on the other Gnasher. Next up is a toy I didn't like that came with an issue I liked even less. 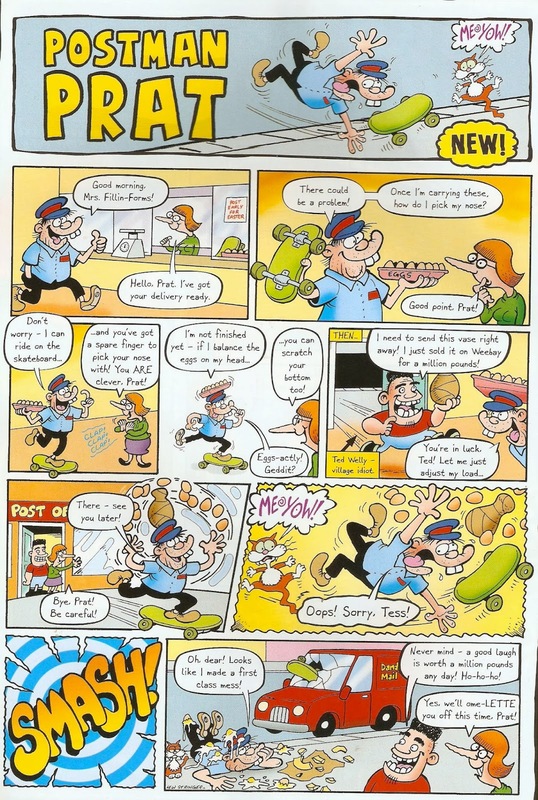 The Beano revamped in 2008 into the glossy format we know today and all my friends who read the Beano hated this move, one of them even phoned them up asking why they did it. The worst part of the revamp was that the price was lifted from 99p to £1.25! Wowee! This dreadful revamp issue also came with a free gift, a sparkly cloud blaster. I always thought the fact it was sparkly made it look girly which explains why I didn't keep it, but here's the picture of the issue and the cover picture of the gift. 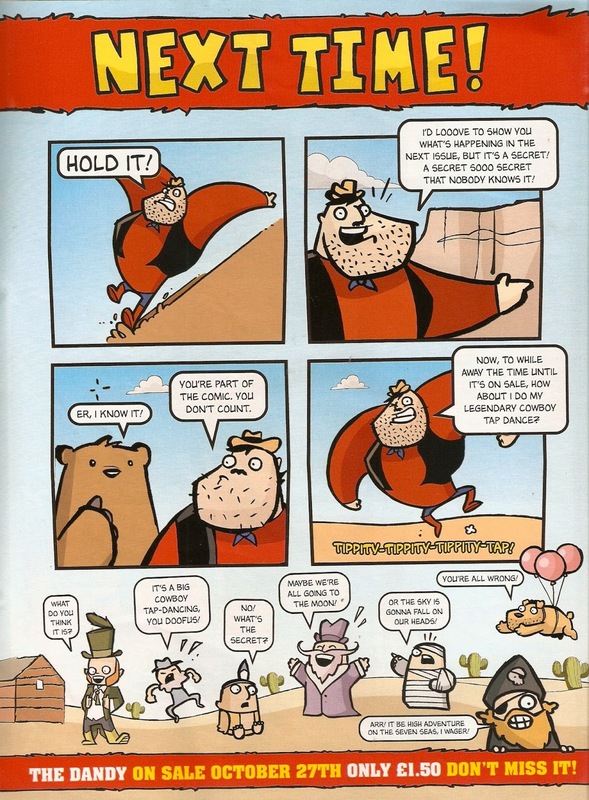 Moving onto a better gift and here is the classic prank of a cockroach in stick of gum, which has been given away a number of times in The Beano. I remember that this came out with the National Menace Day issue, in which you were encouraged to go round pranking people to raise money for charity. My friend and I both took part, and this was one of the pranks we used (others included Whoopee cushions, fake snot and water bombs). A very fun day indeed. And finally here's another of my all time favourites - the CATapult, a gun that fired small plastic cats across the room. This is actually my second CATapult because I lost all the cats from my first one and enjoyed the toy so much I just had to get a replacement (and if memory serves correctly, on the same evening)! I thought that this toy came with a target of Fatty, but there wasn't one in the issue so I must be mistaken (it must have been a burger gun or something). And that's all for this post. There's plenty more gifts in the big box but I have to wrap up the post at some point - maybe I can show them again in a later post.